The acquisition of wireless assets of Reliance Communications (RCom) will lower costs and bring synergies to Reliance Jio’s business but may potentially raise parent RIL’s net debt by 10-12 per cent in near term, Morgan Stanley said today. The two companies announced a blockbuster deal under which Mukesh Ambani’s Jio will acquire debt-laden RCom’s wireless assets – including spectrum, tower, optical fibre network – for a widely-estimated Rs 24,000 crore to Rs 25,000 crore. The deal, for which a binding agreement has been signed by two companies, is expected to be completed in a phased manner between January and March 2018. “Acquisition of RCom’s telecom infrastructure should bring synergies and lower costs while raising clarity on growth capex. The deal could potentially raise balance sheet leverage by 10-12 per cent near term,” global financial services major Morgan Stanley (MS) said in its latest note. On the flip side, it may ‘raise RIL’s net debt by about 10-12 per cent and likely be EPS (Earnings per share) dilutive by 1-3 per cent’ on its FY 2019-20 estimates. Morgan Stanley noted that Reliance Industries (RIL) will save on tower rentals, being one of the largest tenants for RCom’s towers and paying Rs 1,500-1,600 crore in annual rental, as per its estimates. “RCom, during its June 7, 2013 press release on tower sharing with RIL, had highlighted Rs 120 billion (Rs 12,000 crore) as the agreement value over the lifetime of the deal,” it pointed out. Investment banking firm Jefferies, however, felt that the upside from the deal could be limited unless Reliance pays ‘much less than’ the estimated fair value of Rs 24,000-29,000 crore. “Timing is uncertain and the deal value unknown but unless Reliance pays much less than the Rs 240-290 billion we estimate as their fair value, upside may be limited, especially as it already has access to the towers/fibre at favourable terms,” Jefferies said terming the risk-reward as being unfavourable. It cautioned that although RCom expects the deal to conclude in first quarter of calender 2018, “it has slipped on such timelines before. It could yet again, with the deal contingent, among others, on approvals from the government, regulators, lenders. It may be a complex process,” it added. The deal has got a thumbs up from the industry, with Cellular Operators’ Association of India (COAI) Director General Rajan Mathews terming it as “good for the industry”. “It is good for the industry because the industry continues to consolidate around serious players who have deep pockets and financial wherewithal to play effectively and delivery value to customers in future,” Mathews told PTI. Network roll-out, rural penetration, new technologies like 5G and improving customer experience – all require substantial investments and a serious player can attract those investments, he said. The deal – timed with the 85th birth anniversary of Reliance founder, Dhirubhai Ambani – packs in 122.4 MHz of 4G Spectrum in the 800, 900,1800, 2100 MHz bands, over 43,000 towers, 1.78 lakh kilometres of fiber and 248 media convergence nodes. 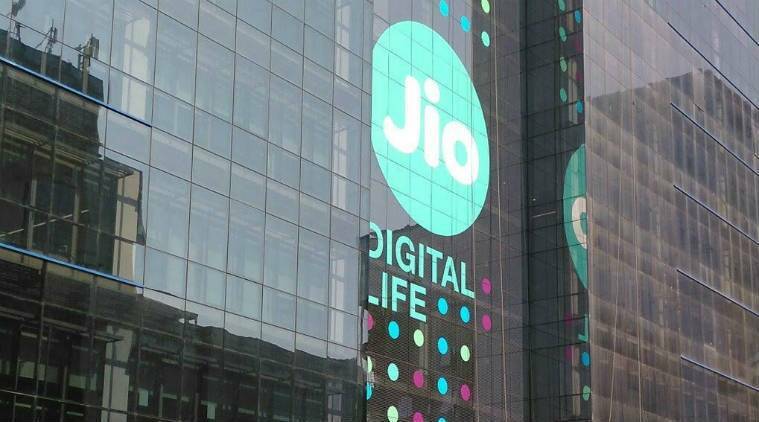 Reliance Jio – which has garnered 160 million 4G customers just over a year into its operations – has said these assets are strategic in nature and are expected to contribute significantly to its large scale roll out of Wireless and Fiber-to-Home and Enterprise services.